MAJOR NEWS: SEPHORA BLESSED US WITH NEW BAGS!!!! This month’s bag is a step up from the drawstring days of the past. It’s so much more practical and is probably something I would use in my everyday life, not going to lie, and I really hope that Sephora has heard our moans and groans and will switch them up from here on out. 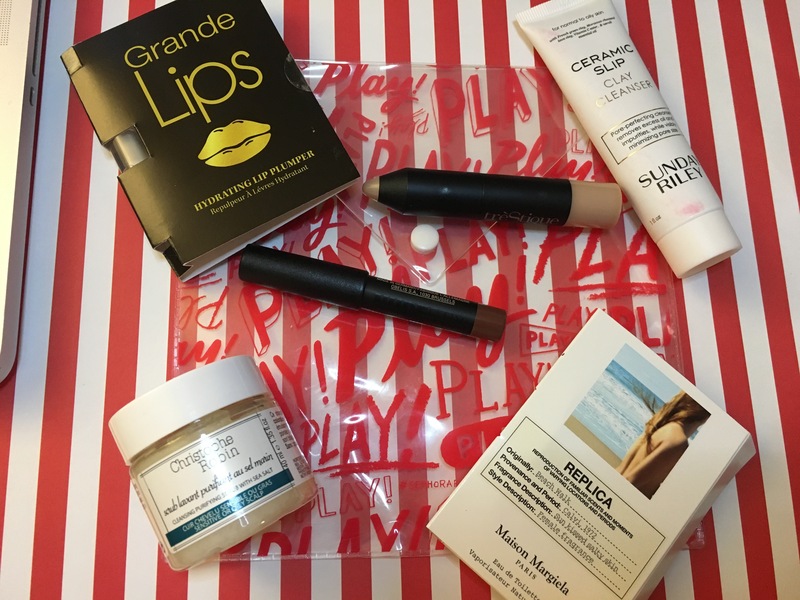 Similar to Ipsy and Birchbox, Sephora went with the same concept of low effort, high impact products to make the most out of those summer days ahead. This month delivered with some interesting spins on items and I definitely enjoyed this month’s box. 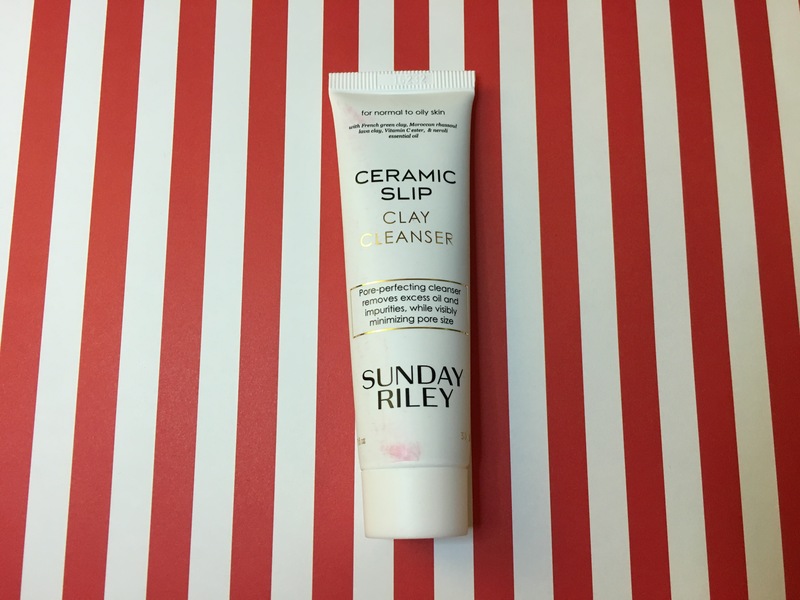 This clay cleanser from Sunday Riley is a brand that one of my favorite YouTube beauty gurus Manny MUA swears by. It really peaked my interest because clays are notorious for minimizing pores and are popular bases of face masks. My esthetician has recommended for me to use clay cleansers because of those pesky blackheads I can’t get rid of. 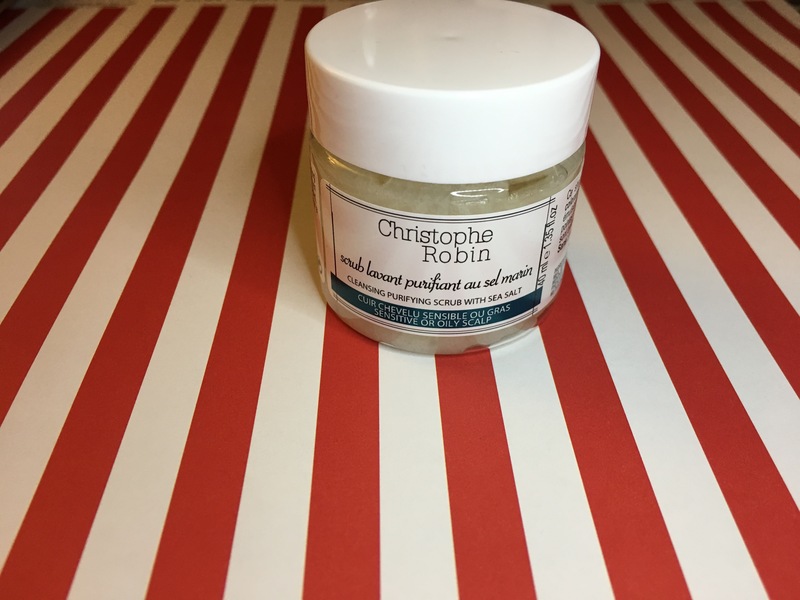 The clays, which are French green clay and Morrocan rhassoul clay, made my pores smaller and my face felt brighter. Apply it to skin and gently massage it into the skin. If you want more of a deeper cleanse, leave the product on for a minute before rinsing with warm water. The formula is a little runny and it does endure some product separation, so definitely shake it up before you use. I’m just bummed that my bottle got yucky because it was out in the heat too long and the plastic bag I raved about transferred onto my bottle! One of the best ways to be a great multi-tasker is to utilize products that can do the work of three packed into one convenient-sized lip pencil that fits in your purse. 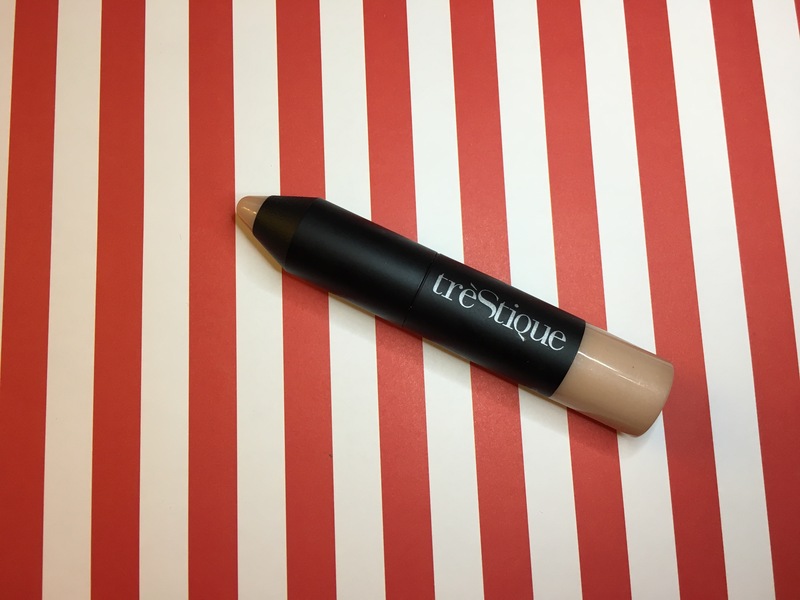 NUDESTIX was a brand I discovered in an old Ipsy Glam Bag, where I received one of their concealers. I really liked it and have meant to get my hands on more of their things. Good thing Sephora’s got my back. 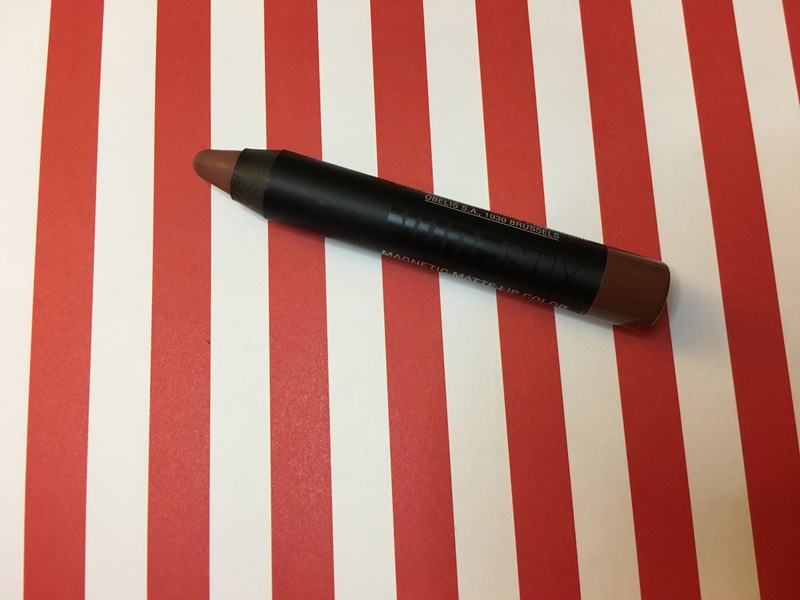 The pigment on this lip pencil is insane and the wearability lasts through the ends of the Earth. In fact, while swatching the color for my YouTube video, found down below, it didn’t budge well after washing, touching and rubbing my hands for roughly five hours after! It took some grit to scrub it off with some makeup remover at the end of the night, but it didn’t stain my hand, like some lip colors will. 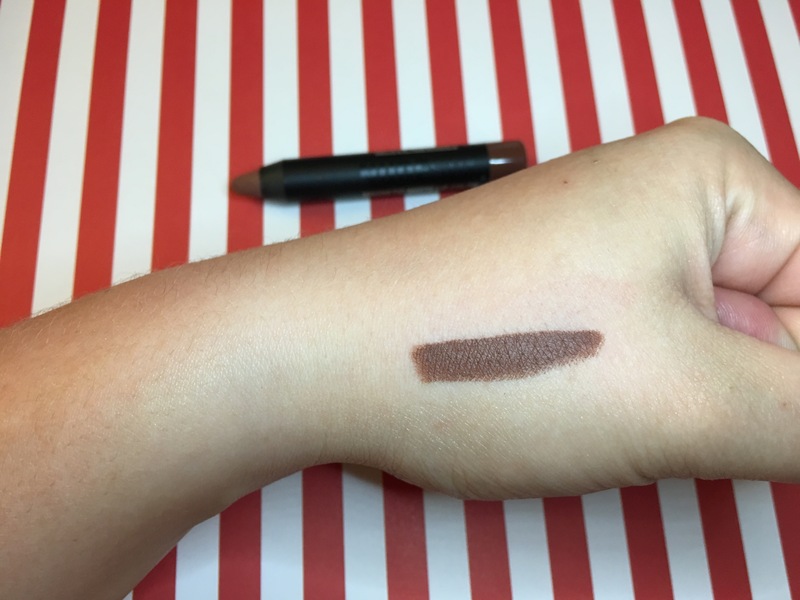 This color swatched looks like a chocolate brown, however, Sephora’s website says that it’s a “greige” color, hence its namesake Greystone. Whatever color we’re calling it, it’s a gorgeous darker shade for those days that I want to make a statement. Second times a charm, right? This will be my second time receiving this treStiQue highlight stick from a beauty subscription service. The first time was with Ipsy a while back and to be honest, I completely forgot I had it because I have my preferred highlight sticks and it got buried at the bottom of my makeup bag. 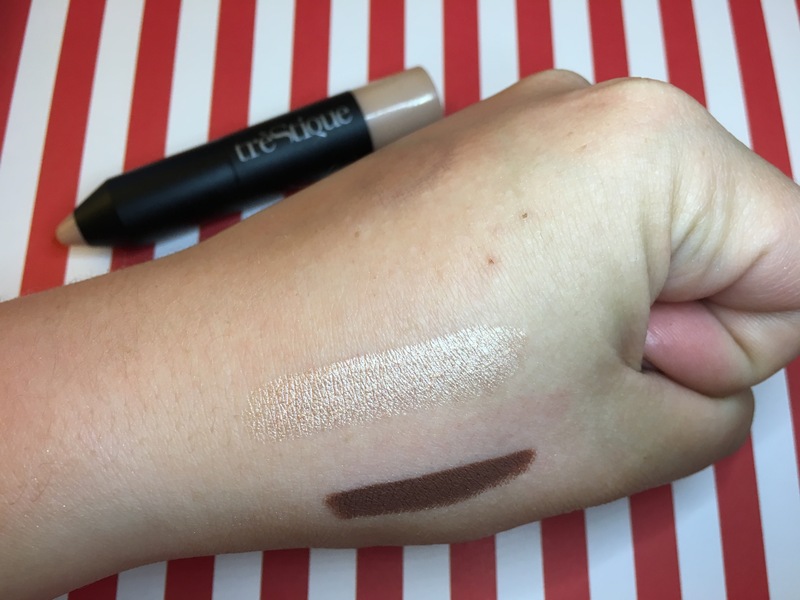 With this month’s theme of quick, efficient beauty, the concept of the mini highlight stick is convenient to throw in your bag for spot blinding fixes, but the pamphlet actually recommends using this highlight BEFORE applying a full face. A concept I never really heard of, but I’m eventually down to try. Swatched on the hand, it’s absolutely radiating. The shimmer is a pink champagne color that compliments a ton of skin tones, including my own. It glides on nicely, blends evenly and I really like how it fits into those intricate areas like the inner and outer corners of my eyes, my Cupid’s Bow and the tip of my nose. I’d love to think that you could use this as a base and glow from space with a powder on top. It’s not every day that you hear the words “scrub” and “shampoo” in the same sentence. My hair gets incredibly weighed down during the summer for all the additional products I mix in. I try to avoid using heating tools at all costs and love to opt for beachy waves and braids from May to September, but sometimes I can’t catch a break with all the gunk my hair likes to horde. When I first opened the Play Box, I thought this was a body scrub, until I read the instructions. This is a scrub. For your hair. Mind. B l o w n. I didn’t even know scrubs were a thing for your scalp, but this is recommended to be used as a detox or as a post-color treatment to help aid in itchiness and remove chemical buildup left on the scalp. Why has this not been introduced to me sooner?! The instructions seem hella sketchy, because you apply it right to the scalp and massage it in. Feeling the product, it’s legit salt with minimal paste. At first, it feel like you’re rubbing sand on your head, but to my surprise, a little went a long way because it lathers nicely. I focused it mainly at my roots and allowed it to rinse into my ends while it washed out. I immediately noticed how light my hair felt and how much cleaner my hair seemed. One treatment and I instantly felt the weeks and probably months of built-up dry shampoo fade away and seriously was in awe. Plus, the scent isn’t as perfume-y as I anticipated. Check out the video at the end of this post to see what I mean. This is a product I definitely want to incorporate into my routine at least once a week this summer and I’m strongly considering a full-size purchase. I’m still scarred from my experiences with my Too Faced Lip Injection lip plumper I received in Sephora’s February box, so I’m obviously really skeptical about trying this. But, do it for the review. 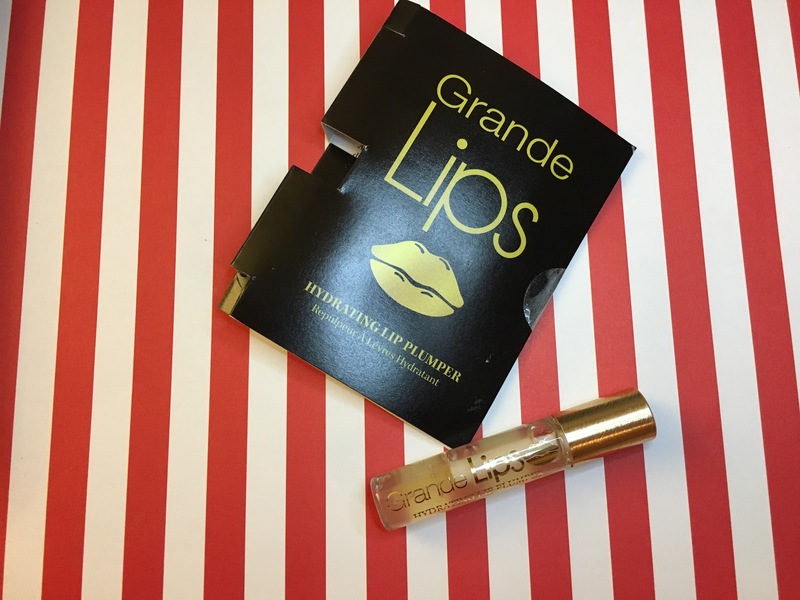 This one from Grande Cosmetics has a patented hyaluronic acid-infused formula to make the lips fuller, but also softening them over time. The package says to use two times a day for 30 days for maximum results. Those long term benefits include 51-percent hydration, 15-percent plumpness, 13-percent firmness and 11-percent softness. All things that I was stripped from the last time I used a plumper. I used to love Victoria’s Secret lip plumper back in the day and this one reminds me of that. The tingling sensation isn’t as overwhelming as the Too Faced one, which makes me more comfortable with the idea of using it on a consistent bases. 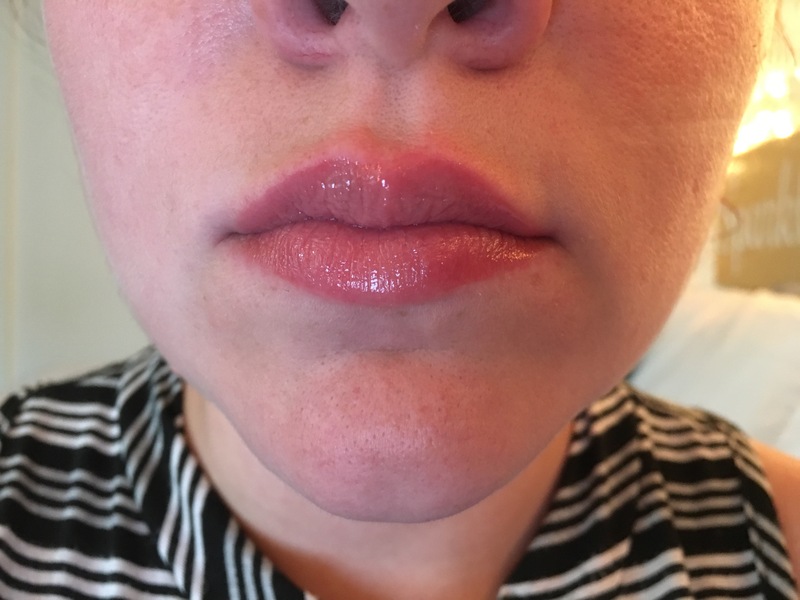 It’s not tacky like other lip plumpers, but it’s also not smooth like a balm. The first experience with it was pleasant and I hope that it will work. I’m down to give it a shot, but fingers crossed, for the sake of my lips. Let’s just discuss for a moment how great of a concept the REPLICA line from Maison Margiela possesses. It’s so cute to think of some of life’s simplistic moments and resonate with specific smells. Beach Walk has notes of bergamot, pink pepper and lemon that remind me of sunny days and the middle notes of coconut milk brings me back to the smell of the Cape during the Fourth of July. Its namesake is very fitting of its scents. Remember: Sephora Play is $10/month. To sign up: visit here. 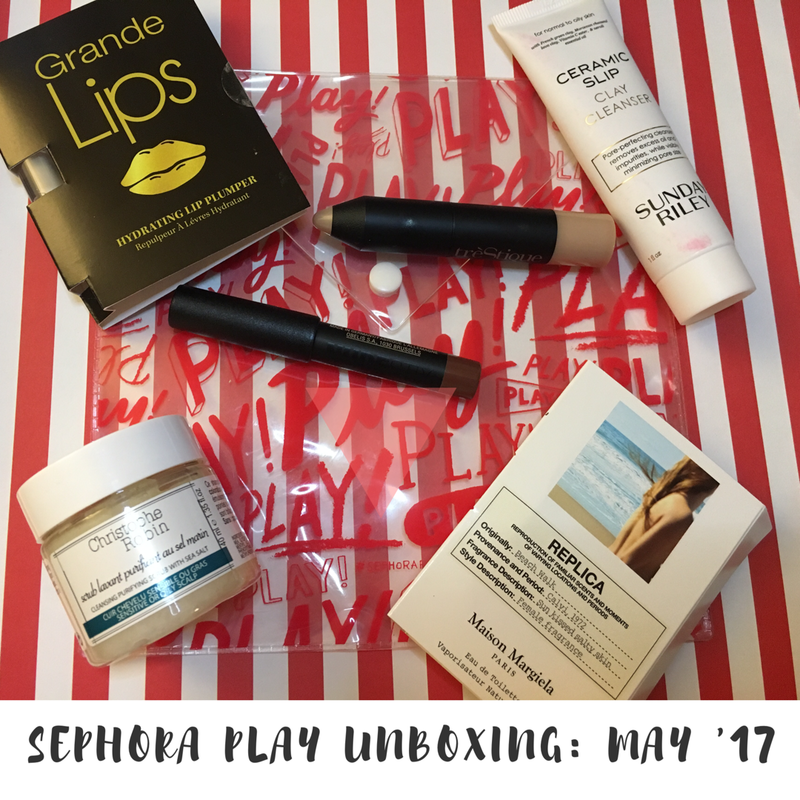 This entry was posted in beauty subscriptions, makeup and tagged #SephoraPlay, beauty, beauty subscription, brown, Ceramic Slip, Christophe Robin, Clay, Clay Cleanser, Cleanse, Cleansing Purifying Scrub with Sea Salt, Face cleanser, Facial, French green clay, grande cosmetics, grande lips, greystone, Highlight, lip color, Lip liner, Lip Pencil, lip plumper, Magnetic Matte Lip Color, Maldives Luminescent, matte, Moroccan rhassoul clay, Multipurpose, NUDESTIX, Perfect, purify, reblance, scrub, sea salt, Sephora Play, shampoo, Skin Care, Sunday Riley, treStiQue, unboxing. Bookmark the permalink.